Camp Chef's Expedition 3X stove comes with a three-sided windscreen, paper towel holder, tool hook, and a pre-seasoned griddle that's ready for cooking right out of the box. This is the kit you need to get your outdoor kitchen started today. 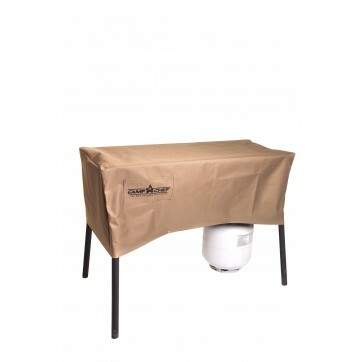 Complete your outdoor kitchen with Camp Chef's Expedition 3X and all of its accessories. This stove features three 30,000 BTU burners, each one three times more powerful than your kitchen stovetop. With so much heat and cooking space, you can make everything from stir fry to steaks. 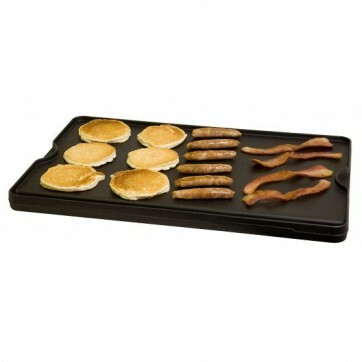 Best of all, the Expedition 3X comes with a pre-seasoned griddle that’s ready for cooking right out of the box. 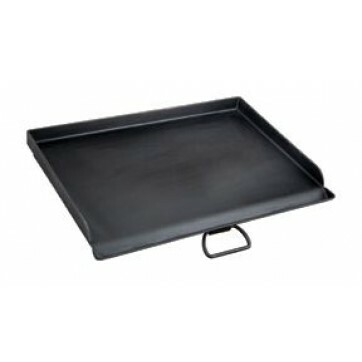 The 16” x 24” griddle is designed to fit over two burners, so you can mix and match with any of Camp Chef’s other 16” Cooking System accessories. 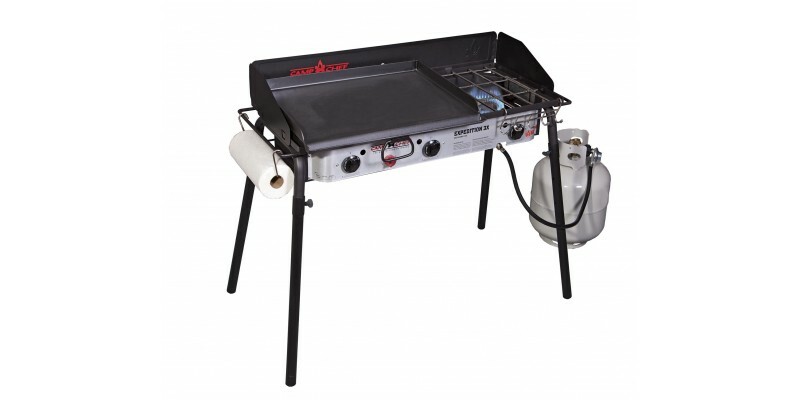 A three-sided windscreen and matchless ignition system make for easy outdoor cooking in any conditions; a paper towel holder and tool hook hold all of your cleaning supplies and utensils. The Expedition 3X is the whole package. 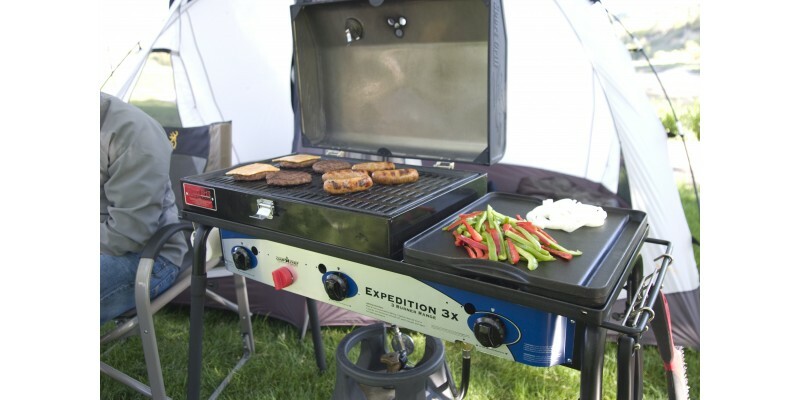 If you’re looking to get cooking this weekend, purchase your very own Expedition 3X today. 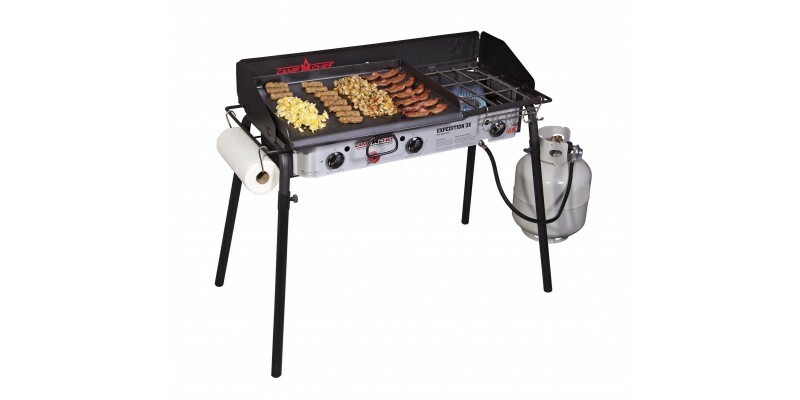 Expedition 3X Triple Burner Stove w/griddle is rated 4.8 out of 5 by 68. 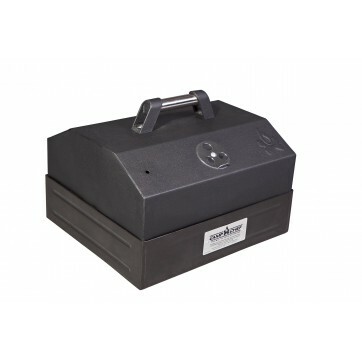 Rated 5 out of 5 by Anonymous from great product, fast shipping, great company I have done three order with outdoor cooking. Have to say they are great. 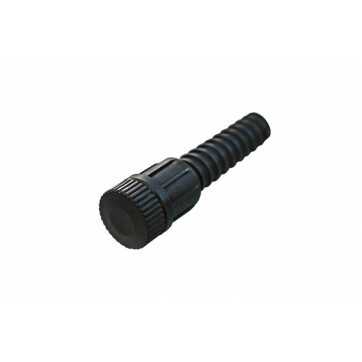 I have order from many companies and this one is the best. Fast shipping. Ordered completed quick. Everything in my order correct. As for the expedition the price on this site outstanding. I have not cooked on it but have to say it is a well built grill. The only thing I have to say is it is heavy. Needed a stove like this for camping with large group. I also ordered 6 other items for the grill and everything shipped at the same time. I was shocked. Other companies will split up shipments. 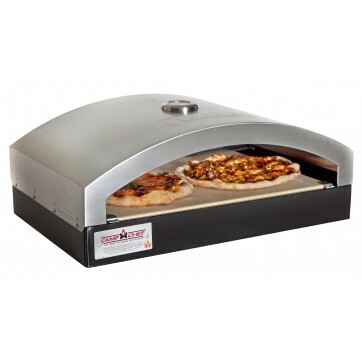 Outdoor cooking please keep doing what your doing and I will be a loyal customer forever. Thank you. Rated 4 out of 5 by Cate from Camp Cook's best friend I used this to cook for a high school group of about 25 camping for about a week. Between this stove and my dutch ovens they were very well fed. I did not have time to try it out ahead of time and the kids set it up for me, so that may have something to do with it being hard to light. Mostly I just used matches instead of the 'Matchless Ignition." I haven't given up on it and will try and work with it when I clean it up for storage. Other than that, it was a dream. Grill heats very evenly and the burners boil large pots of water quickly - even at altitude. I'm considering adding the char broiler for next year. 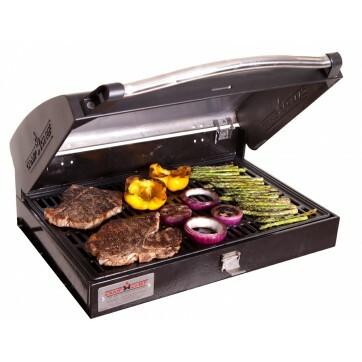 Rated 5 out of 5 by Anonymous from Best price I received my grill as a gift from my father-in-law in April of 2006. I used the grill that spring, summer, fall and winter. My buddies and I used the grill all season long (Go Seahawks!). We have cooked everything you can imagine on this grill. I have continued using my grill this year as well. 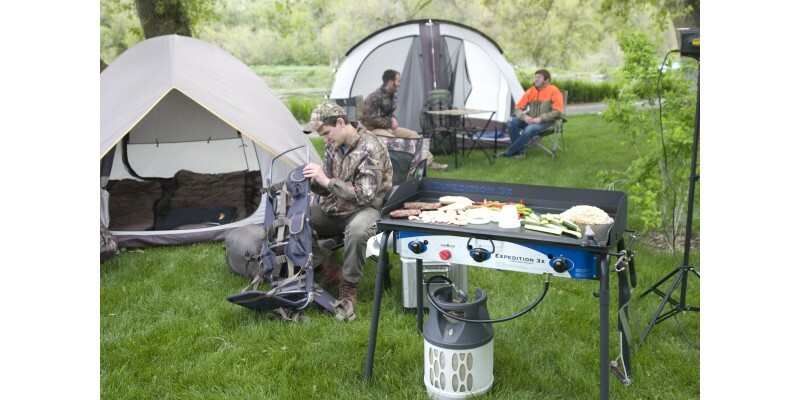 The grill is powerful and portable, the perfect combination for a tailgater. The guys and I are ready for the 2007-08 season. We look forward to all of our future grilling. CAST IRON IS THE BEST!!! 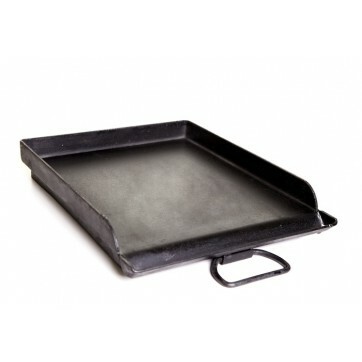 This website has awesome cast iron cookware and accessories with the best pricing I've seen anywhere. Rated 5 out of 5 by Rich from Portable - Lightweight - Powerful I saw my first glimpse of camp chef stove at a church social. I knew i had to purchase one from that moment. I purchased mine at Costco for 194 dollars! Yes, its the Expedition3X triple burner model. Absolute excellent unit; portable,light weight, and powerful! If indeed you plan on using three burners you should have a full 20# tank. Also trying to use two or three burners should be done on medium to heat and low to cook. the griddle will warp if overheated!! warm griddle on medium,then turn down to LOW. 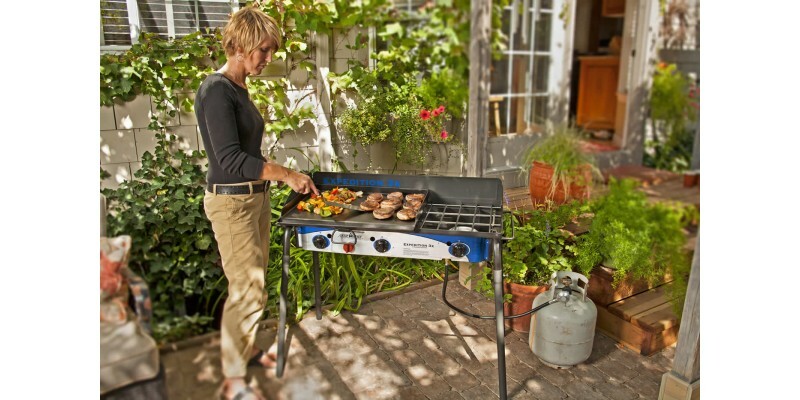 Burners are High output meaning this is NOT an ordinary grill. Costco's model is actually the Tahoe model. Camp Chef, I assure you doesn't alter or compromise quality. Common sense goes a long way. Rated 5 out of 5 by Dan from Great Value, Everything We Want We just bought this unit today for a great price. Assembly was a cinch, and the quality of the product and sturdiness of the legs are exceptional. We grilled steaks and veggies while boiling water for potatoes, and the unit worked as advertised. We're so enthused about this product, we bought several accessories (barbecue grill box, folding slide shelf set, and hot water pot). Can't wait for them to arrive! We will be canning with this unit in the fall because it can put out the heat! Rated 5 out of 5 by Brian from Good quality - Great value Good quality stove and a great value for the money. It would have been nice to have the ignitors included with it but for now I am lighting it with one of those long butane lighters. The burners are huge and can put out a lot more BTU than my Colman stove but they also can be turned down quite low. The griddle is fantastic: the pancakes stuck a little bit the first couple of uses but I'm very happy with how quickly it seasoned up. I'm picky about quality construction and this stove didn't let me down. I bought mine at Costco about 6 months ago but it is cheaper here now. 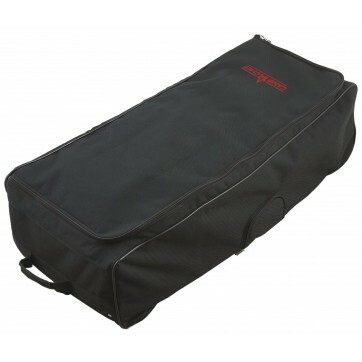 Rated 5 out of 5 by Richard from Very pleased with performance and durability. 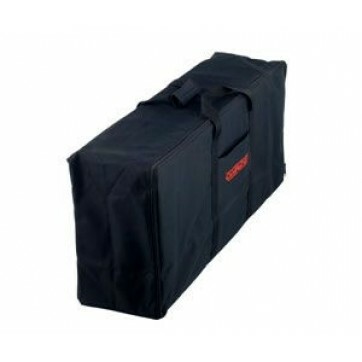 I bought one of these to use when our SAR Team is on a mission or when family camping. I liked it so much I suggested the team purchase their own. 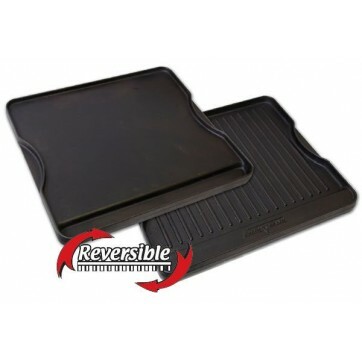 I also purchased two griddles to use with the stoves. The SAR team operates a concession stand for a local sporting event 2x's per year. Attendance is approx. 1500-2000 people. We have used these stoves for two events and cooked both breakfast meals and then dinner meals of hamburgers and hotdogs. The small size is just right for carrying in our supply trailer. I guess that in the last year we have cooked over a thousand hot dogs and hamburgers to perfection. I'd highly recommend the combination of 3-burner and BBQ grill. Very pleased with performance and durability. Rated 5 out of 5 by Kbodo from A must have!!! Best investment ever!! We went camping with a friend who had one and I fell in LOVE with it. I immediately came home and ordered one. We took it to the desert for Thanksgiving weekend it was a hit with all our friends. Wei were able to handle all our cooking needs. We fed between 8-10 people at every meal & all done on this stove. 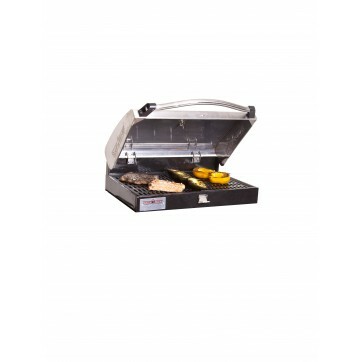 We also bought the BBQ box which I highly recommend!! I am thrilled with it!!!! One of our friends have now purchased one and several others have asked where they can get one! 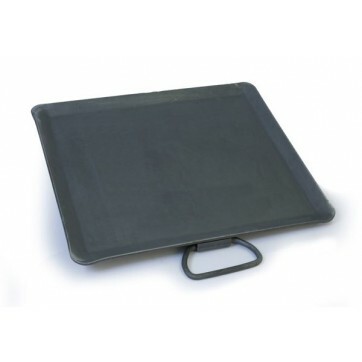 Griddle Dimensions: 18 in. x 24 in. 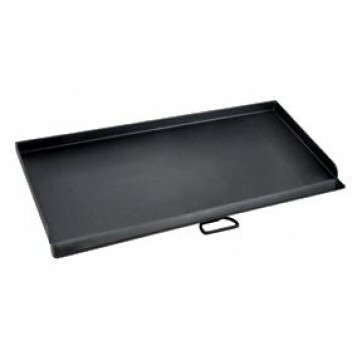 Griddle Cooking Surface: 16 in. x 24 in. Griddle Cooking Area: 384 sq. in.